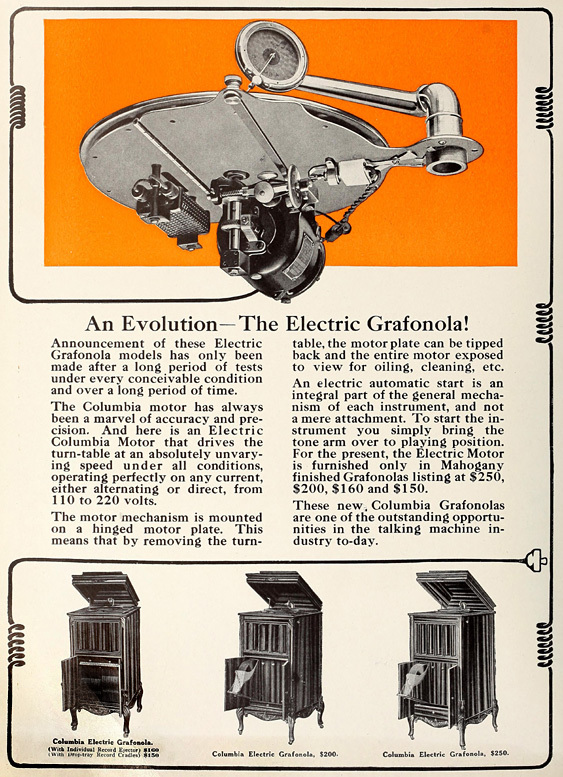 This ad for the electric-motor Columbia Grafonola dates to 1915. Large urban areas had been wired for electricity by that time, but rural electrification wouldn’t be completed until the Great Depression. That factor, combined with the steep prices of these machines, apparently limited their sales. They’re not seen very frequently today, and when they do turn up, they’re sometimes missing their motors, some of which no doubt were “repurposed” after the machines had outlived their usefulness.